Starting November 8th midnight, Indian currency notes of Rs 500 and Rs 1,000 ceased to circulate. The Prime Minister in his address said that the decision was taken to root out the black money, fake currency and corruption menace. The sudden-ness and immediacy of this decision has been notable, but a less known fact is that there was a brain from Bengaluru at work, that has been advocating this measure for a long time. Dr R Vaidyanathan, Professor of Finance and Control at IIMB, was one of the experts who advocated the need to ban high denomination notes in India to control the exchange of black money domestically. He has been advocating complete abolition of Rs 500 and Rs 1,000 notes since 2009. Prof Vaidyanathan is working on a book, Black Money & Tax Havens and India’s Wealth Abroad, to be published by Tata Westland publishers. In his blog, he describes himself as a ‘teacher who is interested in learning’. In the backdrop of the Central government’s decision to withdraw high denomination currencies and issue new notes of Rs 500 and Rs 2,000 denominations, Citizen Matters spoke to Prof Vaidyanathan. You had batted for a complete ban on high denomination notes. 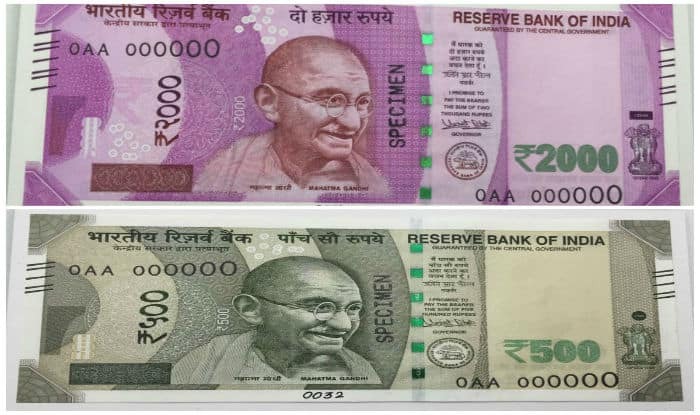 But the government has decided to introduce new sets of notes in denominations of Rs 500 and Rs 2,000. So how do you see this move? I welcome the government’s decision. We had proposed that the government abolish high denomination notes to curb black money. However, the government has decided to introduce a new set of high value notes. But considering that the new notes will have certain features like note tracking system, it will help the central intelligence agencies to track the person who stock the currencies. Also, the to-be introduced notes are different from the notes printed in Pakistan. It will prevent Pak-printed fake notes getting smuggled into India. It is certainly a good initiative. But the RBI has clarified that Rs 2,000 notes will not have nano GPS for tracking the notes. So, how do you think this entire exercise of demonetising existing currency and reintroducing higher denominations will help in anyway to curb black money in future? Will not black money and corruption flourish again, say in the next few months or a year? I do not believe that the government is foolish enough to withdraw Rs 1,000 currencies and introduce higher denominations, without a proper plan in place. My reading is that new notes will be embedded with an RFID tag. It won’t be able to track the location, but can track the transactions. Who will be affected because of this decision? Will it not hit the common man too? The common man will not be affected. An average Indian citizen may have a stock of 15-20 notes of high denominations which can easily be deposited in the banks or exchanged. Bankers will not reject such small amounts, specially if you are banking with them regularly. However, those who have piled up cash in boxes – typically a politician or a corrupt government official – will be in a fix. How will it impact the real estate business? Real estate will stabilise. Changing the currency will augment white transactions, so to a certain extent there will be reduction in bribe. This reduction in bribe is not just in real estate, but in all other sectors as well. It will automatically lead to disinflation, mainly because of reductions in lending cost. The lending cost is very high in black money transactions, whereas the lending rate is less in white. Is there any loophole in this system where the person with black money may still get away without being caught? Yes. It’s not foolproof. Those with black money may try to deposit and exchange the money with the help of a servant or maid, may be by incentivising them. Or, the person may just bribe the bank manager to convert the money to white. Do you see it as one long term solution or just a temporary solution to the problem of black money? No. It’s not a long term solution. But it will help to reduce the transaction of black money to a certain extent. I would say corruption and black money is like cancer, which cannot be completely cured, but we have to deal with it step by step. There cannot be a one shot solution. The idea is not to punish people, but to convert as much as of black money into white. This is certainly not a method to catch and punish the culprits. It is not easy. However, this decision will create worry among those who are into black transactions and creating worry is not a bad thing at all. So, you can not expect a solution tomorrow, but it will help over a period of time. Should the government withdraw the notes periodically to ensure that transaction of black money is prevented? This need not be done if the new notes are printed with tracking chips. The government / RBI is also planning to introduce plastic currency which will have long lasting life. Those notes with magnetic slip can be tracked everytime they change hands. Is it a popular measure adopted across the globe to withdraw currencies and release fresh notes to check black money? It’s not a very popular measure. But some countries have attempted and succeeded. For example, several European countries had resorted to withdrawal of currency to check black transactions in 1950s. However, the level of black money and corruption in India is phenomenally high compared to Western countries. 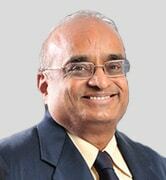 So it may not be very effective and easy in India, considering the extent of black business. How do you think the government should impose stringent monitoring and tracking of black money? Is there a need to amend the Prevention of Money Laundering Act to make it more effective? No. The next best step would be to limit the holding of cash to Rs 10 or 15 lakh per individual which, if implemented will dramatically change the whole situation. Currently there is no restriction on holding any amount of cash. An expert committee formed by L K Advani in 2008, just before the 2009 general elections, which I was a part of, had proposed certain measures to curb black money menace. One of the proposals was to make the possession of cash above Rs 10 lakh or Rs 15 lakh – a crime, a punishable crime. That will automatically lead to reduction in stashing the cash. I hope this government will do it. What about illicit money stashed in offshore accounts? The big sharks continue to go scot-free. We have submitted a proposal to the government on how to acquire foreign currency accounts. We have particularly batted for introducing a new legislation – Nationalisation of illicit wealth held in tax havens – which will provide for the acquisition of foreign currency accounts held outside India and appoint a government custodian for such accounts. After demonetising existing currencies and restricting the possession of cash per individual, the third step should be to control the flow of international black money. I believe an ordinance in this direction will be introduced soon. Find out how Justice Santosh Hegde’s resignation, deregulated oil prices and a fall leading to a fractured bone are all inter-related.